In 1931, French armor units were about to be massively equipped with infantry support light tanks, like the Renault R35 and Hotchkiss H35. However, the specifications of the time called for a cavalry medium tank. This meant a fast tank. 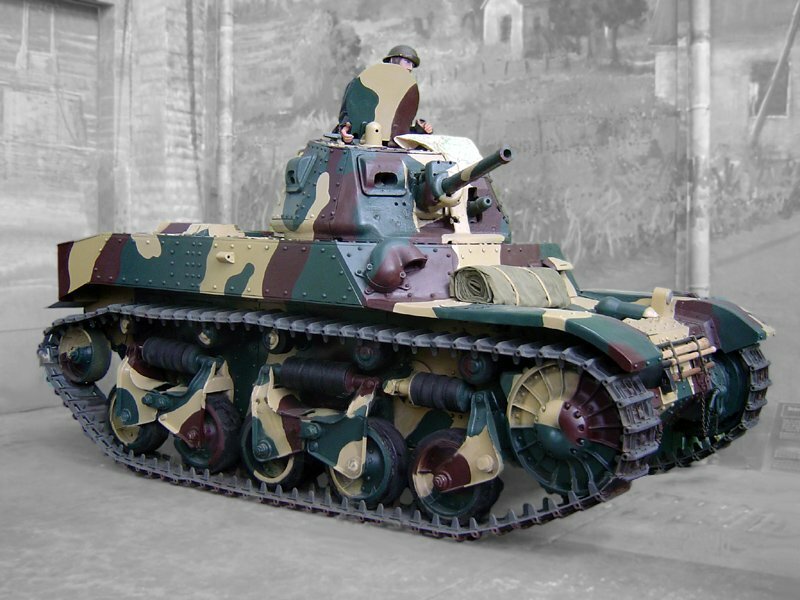 Renault already had experience with the D1 and D2 medium infantry support models. This led Renault to create the AMC 34 (for “Automitrailleuse de Combat”). But in 1934, the specification was altered, now requesting a better armored and faster model. Renault then redesigned its plans around the same basis to save time, creating the AMC 35. This new design incorporated, for the very first time, the new experimental APX-2 two-man turret. This was not derived from any specification, but only a new idea from Renault, after hearing many operational training reports and memorandums. Although systematic three man crews for all French tanks of the interwar were mostly dictated by demography, this was also issued by technical limitations. A smaller, one man turret was easier to design and build. The Châtillon APX-2 model was also very costly. The first prototype, conceived by Renault and presented in March 1936 to the French Vincennes materiel commission, suspicious after the rejection of the previous Renault AMC YR, first found it unacceptable for service, as it didn’t fulfill all requirements of speed and protection. But political pressure, ensured by the German remilitarization of the Rhineland, plus the urgent need of the cavalry, led to its eventual acceptation. 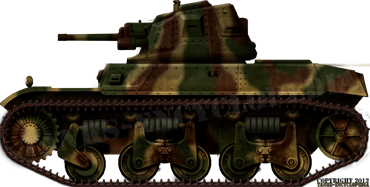 The AMC 35 was based on the previous AMC 34, including the new turret (still not ready for production in 1936). It was remotorized with a shortened version of the Renault B1 engine, an 11 liter V4 petrol engine generating 180 bhp, which was devoid of two cylinders and made more compact. However, as the rear compartment was not enough, the hull was lengthened to 4.57 m (15 ft). This engine had torque, but was not optimized for speed, and the requested one (31 mph/50 km/h) was never reached. Fuel consumption was high, and provision was for only 300 liters, enough for only 160 km (100 mi). This was sufficient for defensive warfare, but cavalry medium tanks were intended to exploit gaps on the battlefield, and a short push was necessary until reinforcements and supplies came. The new 1934 specification also called for all-over protection against antitank gunfire, but this was based on the main 37 mm (1.46 in) model (and the famous German “door knocker”). This was attained with additional riveted 25 mm (0.98 in) armor plates on the original AMC 34 hull. The 47 mm (1.85 in) frontal glacis was judged sufficient against higher caliber guns of the time, but it proved vulnerable against the German Pak 40 during the campaign of Belgium. The suspension was a classical spring horizontal rubber cylinder system. Crossing capabilities were meager, with a wading capacity of 60 cm (2 ft) and 2 m (6.6 ft) large trenches. The two-man turret was equipped with a standard, light SARF QF 25 mm (0.98 in) fortress gun, which was still largely better than the common Puteaux 47 mm (1.85 in) infantry support model. But it was then still needed for the Maginot line, and the turret was finally equipped with the Puteaux long barrel 32 caliber SA35, replaced in production by the FRC 47 mm (1.85 in). The commander was on the right side of the turret, also loading, and the gunner, aiming and firing, was on the left. In December 1936, the military division of Renault was nationalized and restructured into AMX (Atelier de Construction d’Issy-les-Moulineaux). At that time, the original AMC 34 was in completion for trials. This delayed even more the production start for the improved AMC 35. This medium tank was a low-priority project by the time and political turmoil made it difficult to speed the entire project, despite an official order from the cavalry, which nevertheless received its prototype in November 1938. In 1937 an order came from the Belgian government, but as production failed to materialize, political pressure prevented the Belgian cancellation of its orders by delivering batches of seven tanks for France and three for Belgium. This was aided by the fact that the Cavalry corp eventually chose the SOMUA S35 instead. 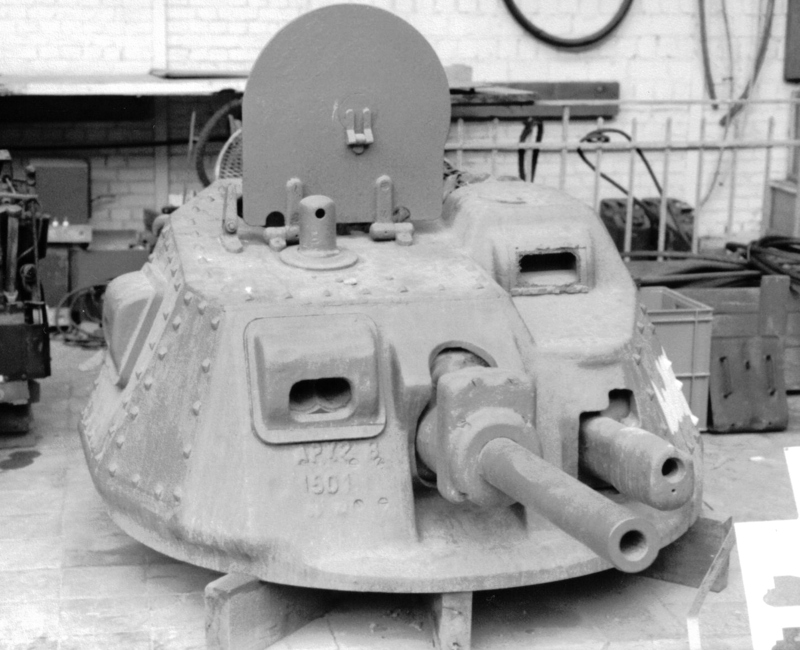 Problems also occurred with the new APX-2 turret, which was made at Batignolles-Châtillon, of cast iron sections, bolted and riveted together. Their diascope and drum magazines were erroneously placed, so in Belgium these were rebuilt at Ghent by the SEM (Société d’Électricité et de Mécanique Van den Kerckhove & Carels) and ready for February 1940. Each tank costed 360,000 francs apiece, but the turrets cost even more, preventing further orders. More delays prevented any effective delivery until mid-1939, and the first arrived in Belgium or reserve units (in France) in August 1939, on the eve of WWII. 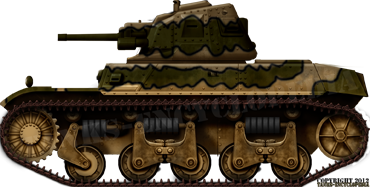 An evolved version ACG-2, equipped with a new 75 mm (2.95 in) to be used as a tank destroyer, was studied in 1939, but did not enter production. Another vehicle was rebuilt as a smoke laying vehicle, but only a prototype was ever made. Despite the fact that many AMC 35s had been delivered and were already available in early 1940, nothing was ready to train crews. So the first batches of tanks were put in reserve, waiting further orders. These came in the desperate days of May when, after the outbreak at Sedan, all reserve materials had to be shipped to the frontline. Several ad-hoc units were hastily formed with the 47 AMC 35s available, with untrained crews and insufficient ammunition. Normal provision was 120 rounds for the SA35 and 5250 for the coaxial Hotchkiss machine-gun. 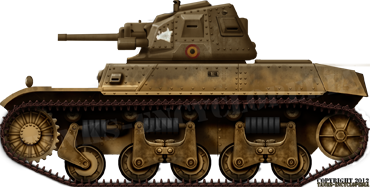 The 11e régiment de cavalerie was the first one to be equipped with twelve tanks, followed by the “CFM” or “Corps Francs Motorisés”, small units of seven tanks each. They began to train themselves quickly and found many limitations, first in rough terrain were they proved unreliable and the turret design appeared unfit for two men to operate effectively in it. Plus, their armor was insufficient for a medium tank, as the events quickly proved. Finally, they had no radio, and no coordinated maneuvers were possible. These AMCs fougth desperate delaying action on the Seine and the Loire, with the famous “cadets de Saumur” reputed cadet cavalry school, without infantry nor aviation support. The few surviving vehicles, mostly abandoned, were used by the Germans for policing duties under the official PzKpfw AMC 738 (f) registration name, and training vehicles for drivers, as AMC 738(b). 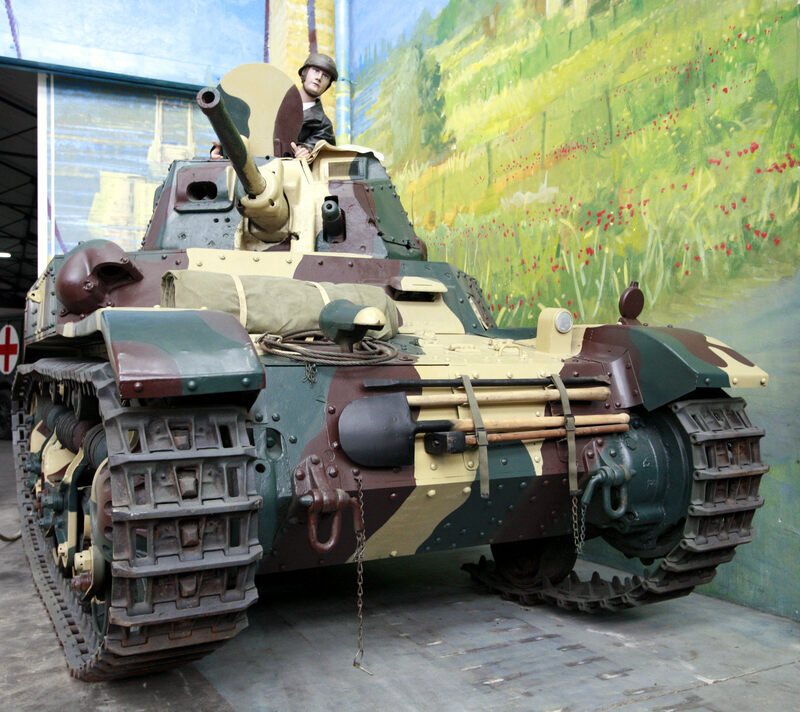 One hull was discovered, restored and is now at the Saumur tank museum in France. The Belgian AMCs, also called Char Moyen de Combat Renault ACG1 Mod. 1935, were delivered in small numbers, totaling 25, until the war broke out. Many were modified until February 1940. In September 1939 a batch of eight were stationed at Watermael-Boitsfort with the Escadron d’Auto Blindés du Corps de Cavalerie (they were officially named “armored car” of “tank”, in order not to provoke the Germans). They were sent to Ghent were they were joined by other vehicles, and then were sent to the defense of Brussels, in three platoons. Later, these units and other AMCs fought desperately between the 17th and 27th of May. Two apparently experienced breakdowns, and four were destroyed by skillful concentrated fire of German Pak 37 squads. The surviving ones were captured when the Belgian capitulated on May, 28. Their fate is unknown. It is possible that the turrets were sent to the coastal fortifications while the turretless hulls were used for training or converted as schleppers (supply tanks). Renault AMC 35, 11e Groupement de Cavalerie, Loire region, June 1940. An AMC 35 from the hastily equipped CFM (Corps Francs Motorisés) which fought a delaying action between the rivers Seine and Loire in June 1940. In all, five CFMs of seven tanks each were formed, but only two were ready in time to operate effectively. Belgian Char Moyen de Combat Renault ACG1 Mod. 1935, one of the 10 delivered until January 1940 (of the 25 originally ordered). It fought at Antwerpen (Antwerp). PzKpfw AMC 738 (b) of a training unit. It was deemed so unreliable that it is unclear if any of these were really put in action against the “maquisards” and partisans, although a unit of AMC 738(f) has existed in Wehrmacht service. AMC 35 at the Saumur musée des blindés, fully restored, this was one of the few tanks which fought with the Cadets of Saumur cavalry school. AMC 35 at Saumur, right-side view. The APX-2 two-man turret, detail. ACG1 = designation by the Renault company. The Belgian ACG also had a different coaxial MG, i.e. the 7,65mm Mi Hotchkiss Mod.1904. The Mi was changed from 8mm to 7,65mm so as to take the Belgian rifle ammunition. It was also belt fed instead of the cartridge strips as used by the French. The drum magazine of captured German Maxim 08/15 were used to feed the MG. These modifications resulted in a adapted turret.I.e. the left side vision port was moved one turret panel to the rear and the machine gun had a heavier mantlet than the French one. Sorry to have to say, but your drawing above should be corrected and showing a difference in turret design and secondary armament between the French and the Belgian tank. The gun sight of the Belgian ACG1 also differs from the French one. These differences (MG, gun and gun sight) can be clearly seen on the bottom and the last but one photos above. Also the white and grey rhinoceros head (emblem of the Belgian tank squadron) is painted a bit little too small on your drawing and the national cockade was not painted on the turret side bu on the hull. The tracks of the surviving ACG1 in Saumur are not of the ACG1 type but probably post war tracks; The left side of the vehicle is also heavily damaged due to service as gun target on a French firing range. Hence that it is always the left side we see in photos. Its rear idler is not original and way too small. The number of delivered AMC Renault ACG1 tanks was ten and not twelve. 2×4 in the combat platoons of the Esc. AB/CC, one spare tanks for spare parts and one tank for training. Nine of the ten tanks saw action in May 1940. One had to be abandoned in the workshops of the cavalry corps in Etterbeek (Brussels) and as many spare parts (bogies, tracks etc…) were loaded on a truck(s) when the unit evacuated its barracks. 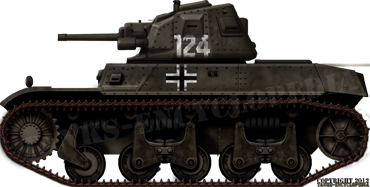 The 25 turrets (APX2-B) though were delivered by the French becaus ethey came from de Ateliers de Puteaux (Puteaux workshop) and not from Renault which delivered only the chassis. Ten turrets were mounted on the tank chassis, thirteen were used in pill boxes (Tobruks) along the Belgian coast (Belgian was a neutral country and in order not to ‘upset’ the Germans it had to defend itself against a possible invasion by the British from overseas. These pill boxes with tank turrets probably inspired the Germans to build quite a number of such tank turret pill boxes along the Atlantikwall. And finally two turrets were used to defend the bridge over the Amblève river at Remouchamps in the Ardennes where a fortress was planned, but which had to be cancelled due to lack of budget. Instead the army built two pill boxes with a tank turret. One near the bridge at ground level and one on top of a hill looking over the valley. Both turrets still survive though the guns have been removed in the fifties and adorn the entrance of a castle in the vicinity.